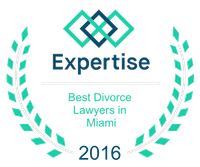 Paternity | Miami Family Law Lawyers Vilar Law, P.A. The word paternity comes from the Latin word for father and means fatherhood, or the state or condition of being a father. The legal definition of paternity is the acknowledgment or determination of a parental relationship between a man and a child. But in the eyes of the law, that relationship is not necessarily biological. The man with the legal rights and responsibilities of fatherhood is not always the child''s natural father. This apparent contradiction is based on the strong public policy of protecting the welfare of children by securing their financial support, even if it is sometimes at the expense of a man who is not the biological father. With the enactment of a new statute in 2006, Florida has made it easier for a man to be released from the legal duty to support a child not his own by allowing men to use newly-discovered evidence to disestablish a prior court order of paternity. But the legal paternity of nonbiological fathers is still not uncommon on account of innocent mistake, negligence, or outright fraud, and the relief available under the new statute is subject to many conditions and restrictions and is limited to the release from future child support. The recovery of any past support payments is generally not permitted. The law presumes that a child born to or conceived by a married couple is the child of the husband, even if the wife was known to be having an affair during the marriage. This presumption of the so-called legitimacy of the child is one of the strongest presumptions known to the law. It was created primarily to protect the interests of the child in receiving support from both of the child''s parents. But the presumption is not absolute. It can be overcome by clear and convincing evidence to the contrary. Yet there are some situations where the Court will not permit a challenge to the paternity of child born to a married couple either by the husband or other potential biological father of the child when to do so would be contrary to the best interests of the child, as where child''s biological father lacks the means to support the child. This is an extremely complicated area of family law and should not be confronted by a party without the assistance of an experienced attorney. Paternity is governed in Florida by Chapter 742 of the Florida Statute. A paternity action may be commenced by either a woman who is pregnant or has a child, by a man who has reason to believe that he is the father of a child, or by any child to determine paternity when paternity has not been established. A paternity action may also be brought by the state, on behalf of the mother, to seek reimbursement for public assistance benefits paid to the mother for the child. An unwed man's name is not permitted to be reflected on a child=s birth certificate as the father without the consent of the mother of the child. The signing of a birth certificate or other sworn or notarized statement of paternity by a man does not in itself establish paternity, but only a legal presumption of paternity which can be rebutted, or overcome, with sufficient, contrary evidence. A sworn acknowledgment of paternity, whether on a birth certificate or other document, may be cancelled by the man within sixty (60) days, but after such time, may only be challenged on the grounds of fraud, duress, or material mistake of fact. The latter means that both parties, and not merely the man, were mistaken about the paternity of the child. Paternity is important from the perspective of a unwed mother who is not receiving support from the child=s father, because it is a prerequisite to a court order of support. But a question of paternity presents a more serious issue for a man. If the man fathered a child out of wedlock, he must establish paternity by Court order just as a mother must do before a Court can enforce the parental rights of either one. But nature and the law impose an additional problem on a man which can have grave and traumatic consequences in the form of a legal duty to support a child fathered by another man or in a loss of father-child relationship with a man=s biological child. In both situations, the outcome is made more tragic by the fact that it can be prevented with an understanding of the law and timely preemptive action. Since a man=s right to cancel a sworn or notarized statement of paternity, including having his name listed as the father on the birth certificate, becomes more restricted after sixty (60) days, it is imperative that he refrain from signing such an acknowledgment if he has any doubts over his paternity. Even if the man does not object to being the legal father to another man=s child, he should still establish paternity through a DNA test to make sure the biological father won’t later assert his paternal rights. At the very least, a willing father who may be in doubt about his paternity should register with the Putative Father Registry. (http://www.doh.state.fl.us/Planning_eval/Vital_Statistics/Putative.htm) A mother cannot be compelled to submit to a DNA test to prove paternity before the child is born, but once the child is born, the mother can place it for adoption. A man should act immediately to preserve his parental rights by registering if the child is unborn, and by filing an action to establish paternity after the birth. A man who does not want to support another man=s child or who simply wants the certainty in knowing if he has biological ties to his presumed child should take action at the earliest stage to question his paternity. If the man is married, he should request a paternity test in his divorce case. If he is unmarried to the women whose child he may have fathered, he should immediately file a paternity action. In both cases, a simple DNA test is usually conclusive on the issue of paternity. Before the enactment of Florida Statute Section 742.18, a man generally had only one year from the date of a final court order establishing paternity to challenge it on the basis of mistake or fraud. Under this new statute, he can disestablish his obligations under a court order to support a child if newly discovered evidence, usually in the form of DNA test result, proves he is not the father and he took no affirmative action as the father after he become aware of the new evidence, such as adopting the child or consenting in writing to support the child. A man who fathered a child out of wedlock needs to be especially careful that an administrative order of paternity and support does not occur behind his back, as can sometimes happen. When an unwed mother receives any public assistance like welfare or food stamps on behalf of a child, the State of Florida Department of Revenue is entitled to seek reimbursement for these benefits from the support owed by the child=s father. The DOR is empowered to initiate legal proceedings in the name of the mother of the child to establish paternity, and then to collect child support from the man so determined to be the father. Because the DOR can begin such proceedings by certified mail sent to the last known address of the man alleged to be the father, it is possible for someone at that address to accept this notice without the alleged father ever knowing it. The DOR can then obtain an order of support just like the one a court issues, but without the safeguard of personal service of process which a court requires. The unfortunate man may not even know a final support order has been entered against him for a child he did not father until years later. He is then faced with prospect of incarceration if he cannot establish he was truly innocent of misleading anyone by failing to object to his paternity earlier. The consequences of an unfounded claim or objection on the issue of paternity are enormous for the mother, the child, the natural father, and the legally-substituted father. Receiving competent legal advice early in the process is especially crucial in this situation because the problem compounds so quickly if left untreated. Do not delay in seeking our assistance any possible issues of paternity could confront you.